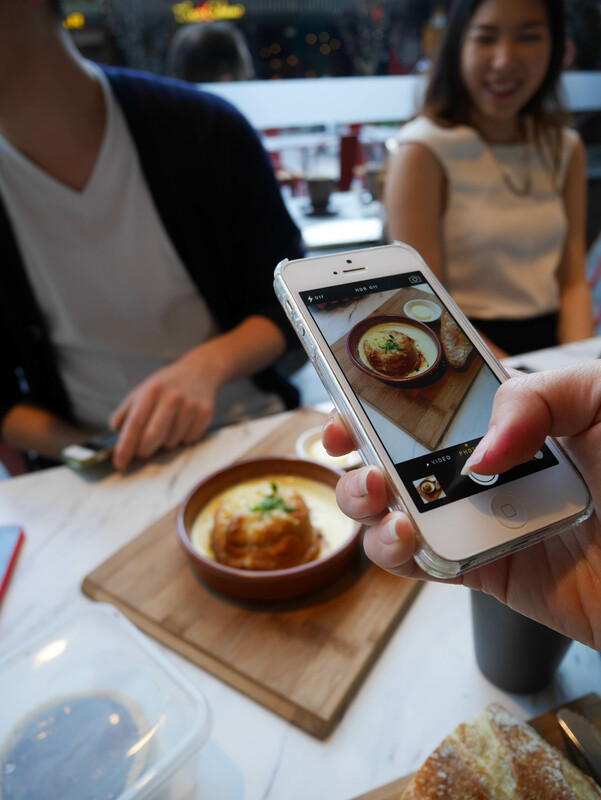 Dining with fellow foodies and food photography enthusiasts is not only terribly fun, it’s also a lot less stressful because you know that you aren’t the only one holding up the eating part of the meal with incessant photos. Autolyse is also the perfect venue for photographing because of the giant glass that just lets in a whole tonne of light. Every photo is a good photo, even for an amateur like me. We’re here having a catch up lunch so it’s great that Autolyse is a pay-before-you-eat type of place so we’re not interrupted at the end. We can even pay separately so no awkward splitting of the bill. 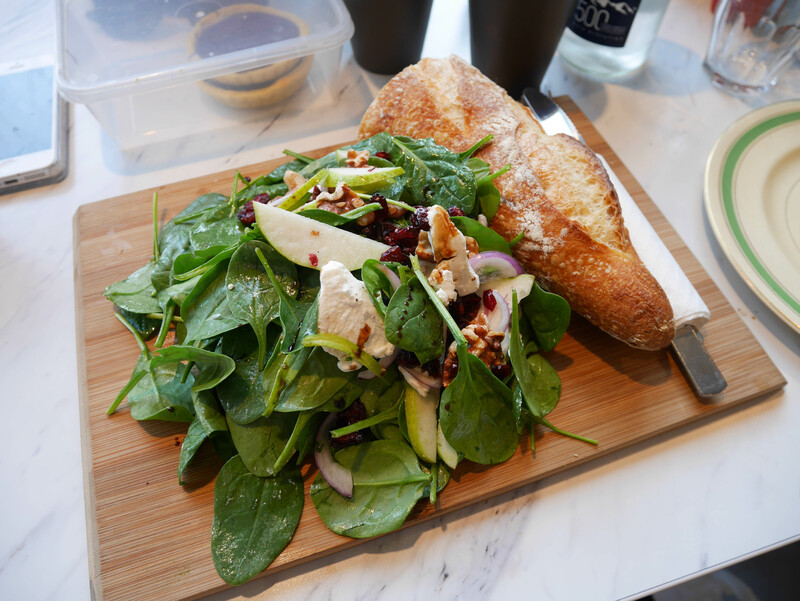 My lunch that day is a Goats Cheese Salad ($13.50) with cranberries, walnuts, pears and balsamic vinegar. No one else at the table is a fan of goats cheese so I happily consume this all on my own. Miss Eggs Eilxrrr of course gets the omelette with toast. As much as I love Autolyse’s baguettes, I have major food envy for such a thick slice of toast which was crunchy on the outside and pillowy soft on the inside. I can only imagine what it would taste like with a generous spread of butter and some of that cheese omelette too. 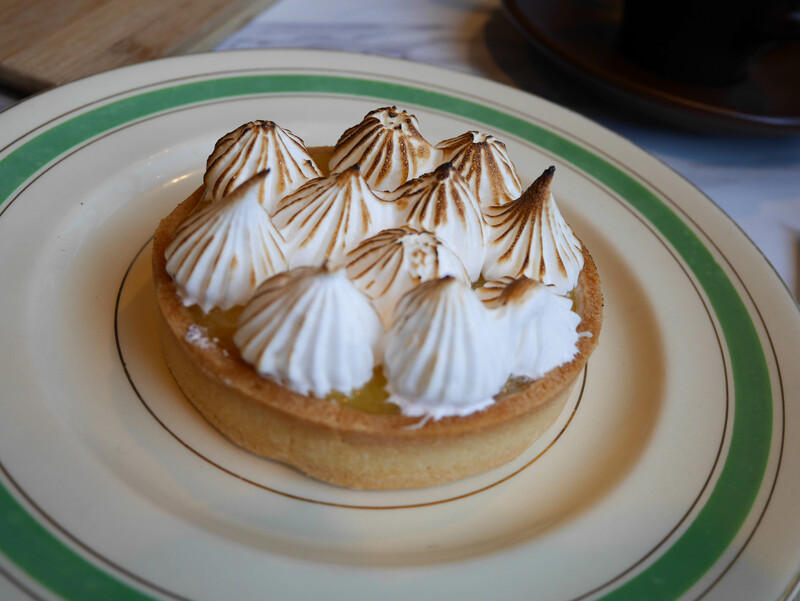 Vanessa has a hankering for something sweet and opts for a lemon meringue tart instead. It’s as pretty as a picture here, although I didn’t get to try it so I can’t attest to its deliciousness. Blurry photo unfortunately but its the best one I got (Photo taken by Alfred). It was good to see Sharron who I hadn’t seen in years. 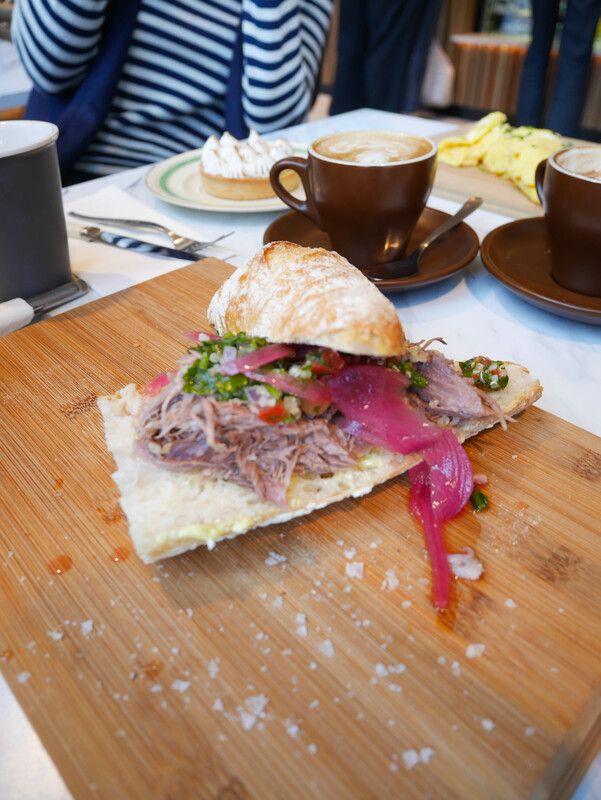 She gets the Sous Vide Lamb Shoulder Sandwich ($9.50) which strangely enough comes with quinoa. Didn’t try this either but heard the lamb was a bit on the dry side which is a shame. 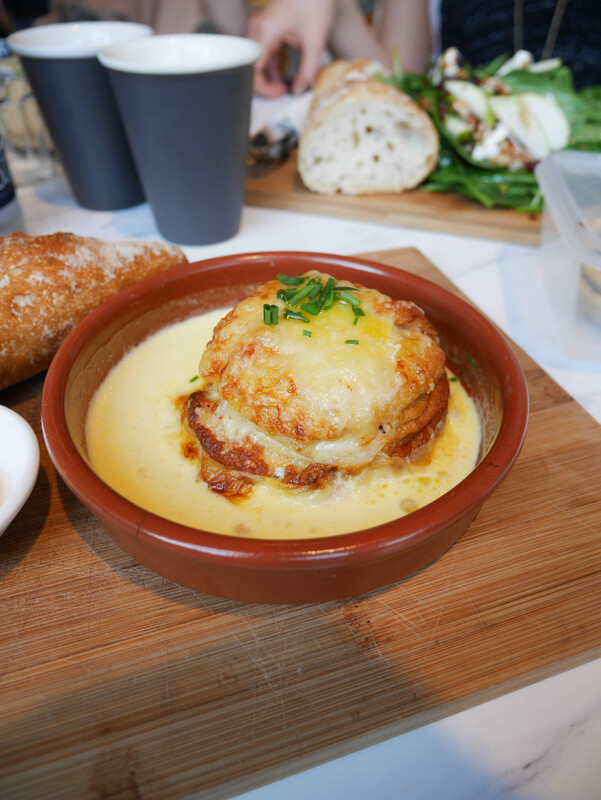 Alfred’s Cheese Souffle is a little on the small side but packs a punch in flavour and decadence. Perhaps if it was too much bigger it might get a bit too rich to finish completely. (Chocolate tart courtesy of #eilxrrcooks4samanthawxlow) Autolyse may have a miss or two but its overall just very very good and with nothing over $15, it’s a big bang for your buck as well. It’s also a nice little pit stop in the shadowy part of the city which is mainly dominated by Asian food. What the heck, I really just love food so give Autolyse a try. 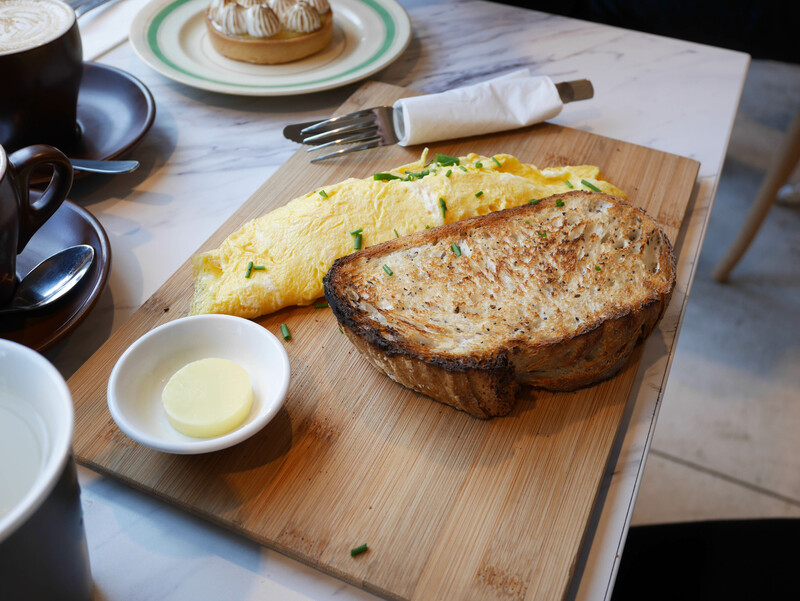 mmm that omelette looks super fluffy but ermahgerd dat souffle! I know right, that souffle looks so hectic. I’ve yet to go back and get it. I’m always boring, going after the same salads all the time but I really enjoy them! 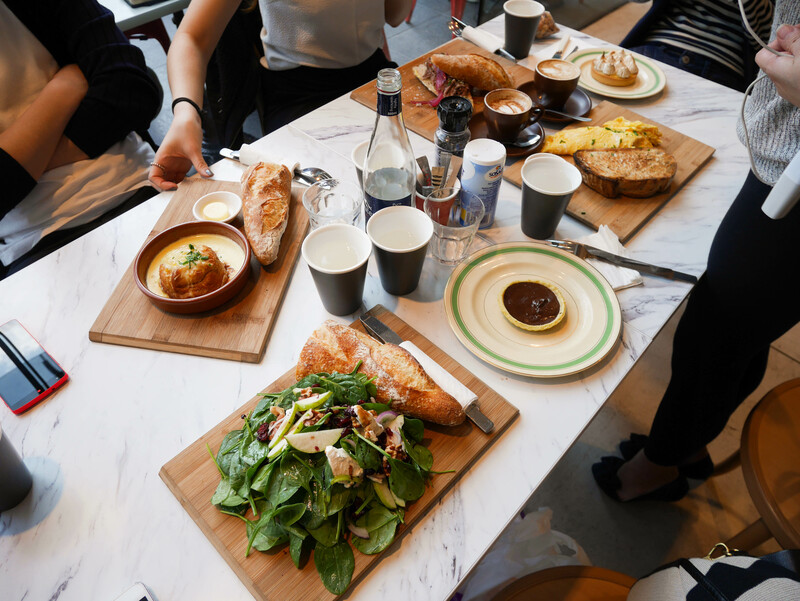 Haven’t tried the souffle yet but I do love how they give you massive hunks of baguette with your lunch!